Unique to the I-series is the total control you have over your area at a distance through your fence. 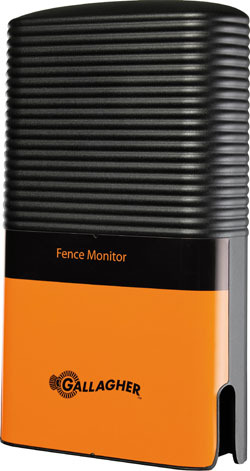 The devices and the accessories allow you to be informed directly at a distance about an error in your fence. You can detect the location of the fault immediately. You can repair the fence immediately by switching the fence off and (after the reparation) switch it back on. Be warned directly and at any time and place, is one of the big advantages of the I-series. Because you can react immediately you will avoid the cattle breaking through. You will also save time when searching for faults in the fence. The accessories will help you point out the location of the fault. Serves as on/off switch. 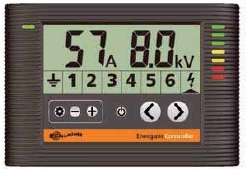 The display shows the voltage and current for the earth, fence and alarm zones. Specifies voltage and current on location; going back real-time to the device. Device compares the values with set minimums and translates this to a signal towards the external display or SMS/module. 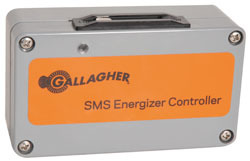 If a problem occurs with your fence, the SMS module can warn you via a SMS text message to your mobile phone. 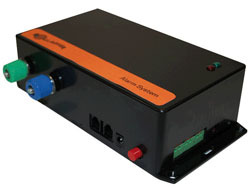 Enables you to connect various feedback accessories to an i-series energiser such as a siren or flashing light. Converter to connect a 12v battery to an i-series energiser as a power back-up. If there is a power failure, the unit will take over and maintain the power to your fence. The new M1200i is a powerful energiser with 11 Joule of stored energy, suitable for fences up to 32km. The external display communicates with the fence and displays the status of the energiser, the fence and earthing. 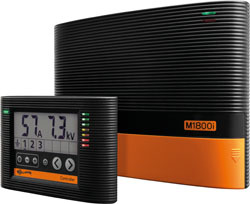 The new M1800i is a very powerful energiser with 18 Joule of stored energy, suitable for fences up to 43km. The external display communicates with the fence to provide information about the status of the energiser, fence and earthing. The system is expandable with a maximum of 6 fence monitors and remote control devises to help you monitor and control your system.